We believe this quote will inspire anyone to set up a proper vacation. With the Holidays already upon us, your Holiday getaways are beginning to become a reality. If you’re looking for a great place to take your trip to, then we suggest our Camellia Inn B and B in Healdsburg. Our B and B in Healdsburg has a lot to offer you and/or your family. From wonderful rooms, to a terrific breakfast, to an exceptional spa experience and so much more. While you enjoy these excellent amenities, you also can be a part of some events we have planned at our B and B in Healdsburg or some that surround us. Here are a few of those events for you and/or your families to be a part of. We will be updating the details soon, or you can contact our B and B In Healdsburg now for any other information, ticket pricing and event packages. Our B and B in Healdsburg all suggests you vacation in Healdsburg during Thanksqgiving so you can take part in the Downtown Holiday Party. This event takes place on Friday November 23, 2018 from 4:00 PM to 8:00 PM PST. Kick off your holiday season with Healdsburg’s charming and fun-filled Downtown Holiday Party. Bring your gift list, friends, family and appetite to this not to be missed town celebration. You’ll be able to bring your camera for pictures with Santa from 5-7 pm, enjoy musicians and carolers, enjoy a performance by the Wonder Wags, see trick dogs, ride in Horse-drawn carriages (weather permitting) and shop for unique and beautiful holiday gifts. 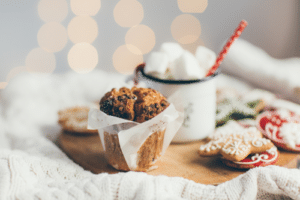 There is so much going on during the Holiday season and so much to do. We hope this list of events happening now and in the coming weeks is enticing enough for you to book a stay with us at our B and B in Healdsburg. We’d love for you to contact us with all questions you have. We are also happy to help you plan your getaway if you need some help. Our staff is ready and willing to point you in the direction for a wonderful and fun Holiday vacation.